Our latest Studio Showcase winner, Marcella, found paper crafting through a prayer three years ago. She had recently moved to Illinois from Ohio, and was missing her friends and family desperately. "I was praying that the Lord would send someone my way...that day a neighbor asked if I would like to learn how to make cards!" 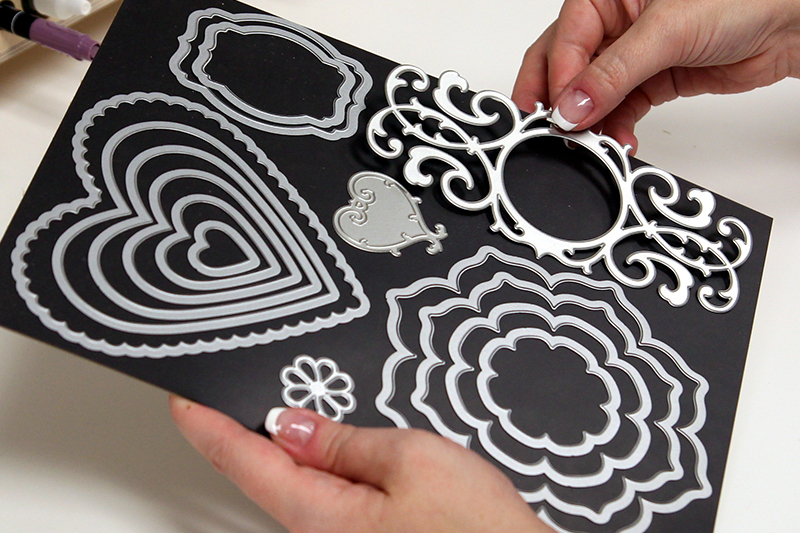 After Marcella's first card making class, she spent most of the night flipping through the pages of a Stampin' Up! catalog. "I found a passion and I could not get enough of card making" she says. 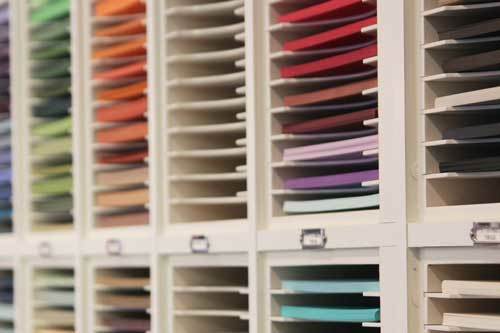 Later she visited her new friend's craft studio and was impressed with how organized it was. "Vel used every inch of space wisely." It was another long night flipping through a catalog, but this time it was scanning the pages of a Stamp-n-Storage catalog that Vel had given her. This began the journey of planning Marcella's first craft studio! "I began watching youtube videos and fell in love with the way Mary Fish had everything organized. I used a lot of her tips when planning my own space" Marcella says. She turned a workout room in the basement into her craft room, replacing the rubber floors and mirrors with wood flooring and a wall color similar to Pool Party. Yep, that's a Stampin' Up!® ink color. Marcella's furniture was ordered from Martha Stewart's line and arranged with her desk in the center so she can easily turn around and access everything she needs. 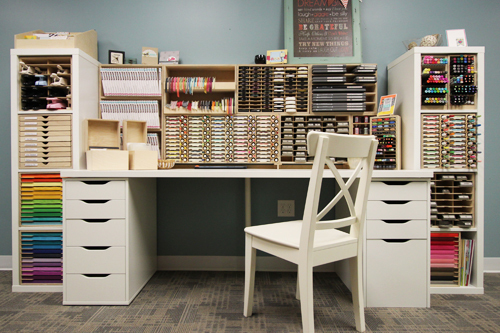 Her next step was to organize her inks, washi tape, ribbon, markers, die cuts, embossing folders and paper. 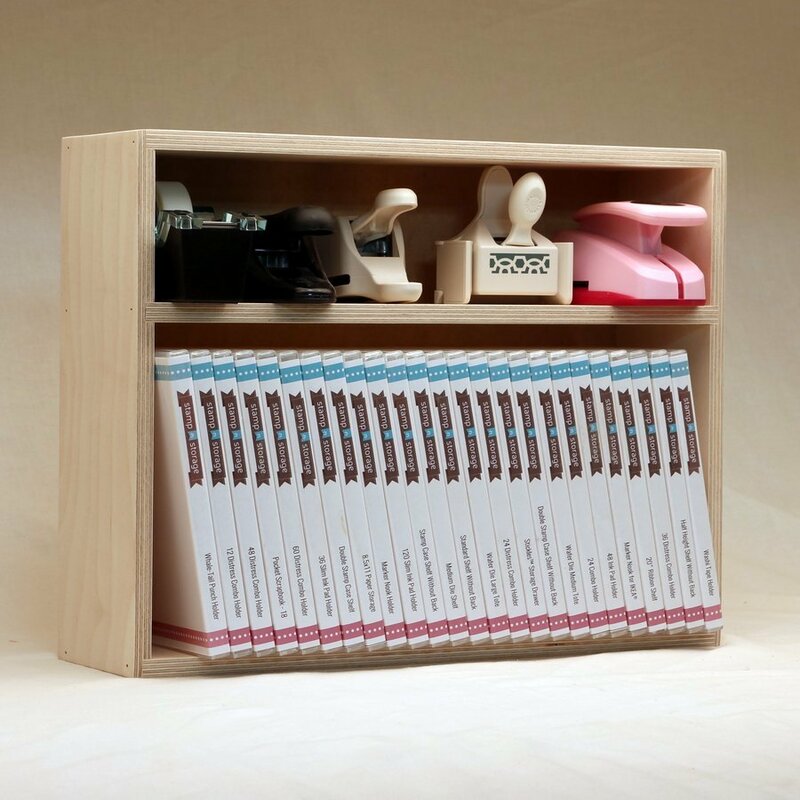 She pulled out her Stamp-n-Storage catalog and began ordering her organizational products in phases. Marcella says she was so serious about Stamp-n-Storage products, they were on every birthday and Christmas list. 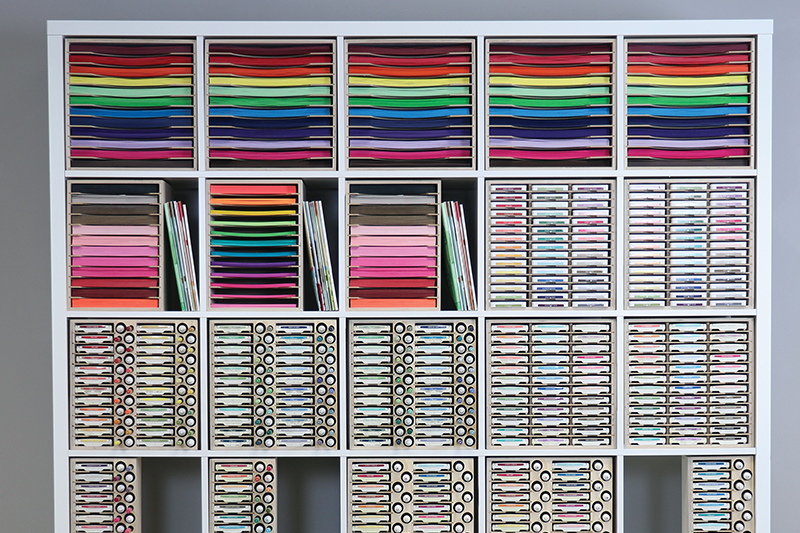 "One wall of my room has my Standard Ink Pad Holders, 48 Marker Holder (discontinued), Side-by-Side Marker Holder, Washi Tape Holder, and Lock-Down Punch Holder. I group everything by the group names that Stampin' Up!® uses (ie. 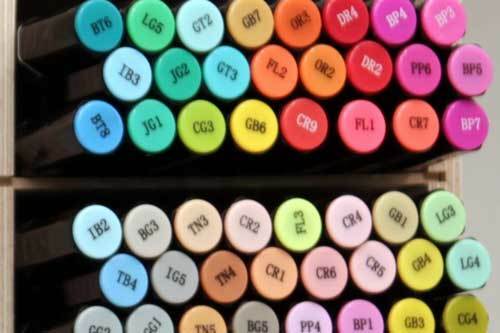 regals, brights, subtles, neutrals and in colors)." Another wall is all of Marcella's paper storage. 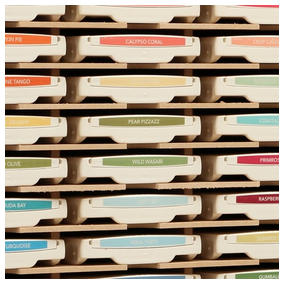 "I can't say enough about the Stamp-n-Storage Paper Holder and Paper Holder Label System. I love it! All of my papers are grouped the same as my inks and markers. 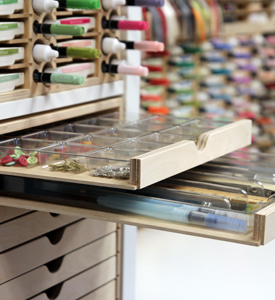 This makes it so efficient when you are grabbing things quickly for a project" Marcella says. She has her 12x12 Paper Holders lined up on her desk and her 8.5x11 Paper Holders stacked on top. 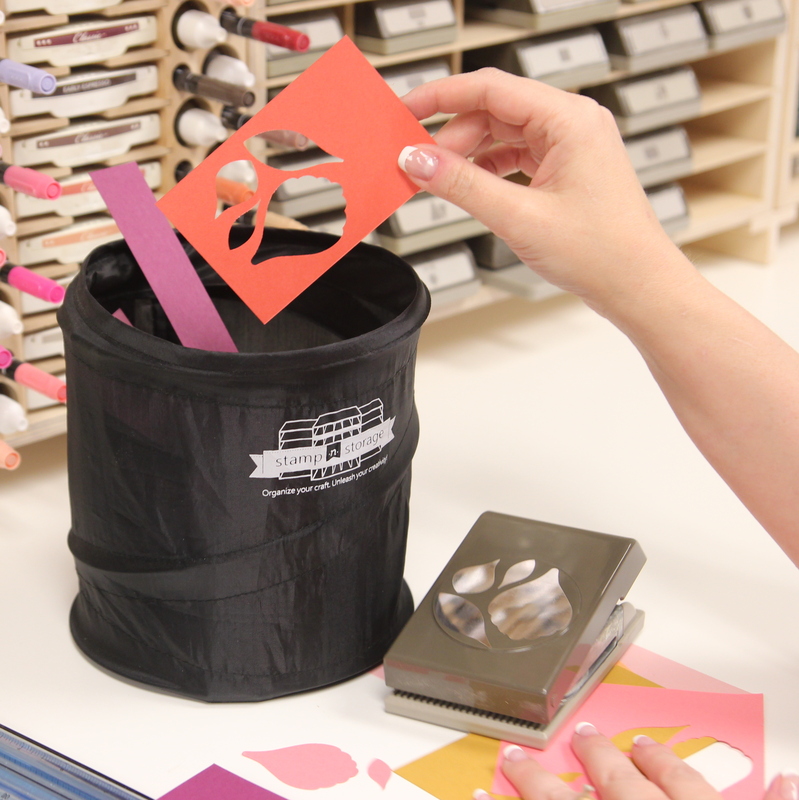 Marcella keeps her Big Shot™, Magnet Cards and Embossing Folders together in another area. 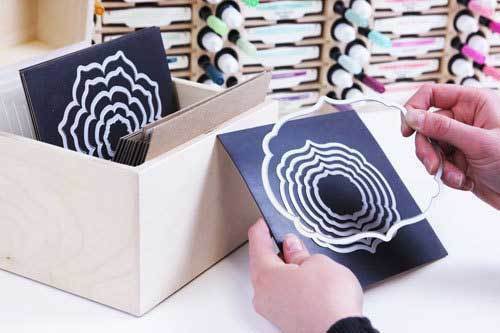 Her Magnet Cards are stored in the Wafer Die Storage and her embossing folders are stored in the Emboss Folder Storage. 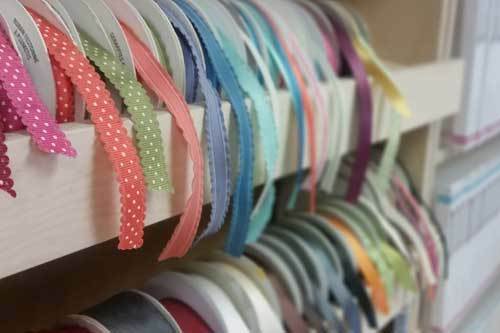 Her ribbon is neatly organized in the Ribbon Shelf. 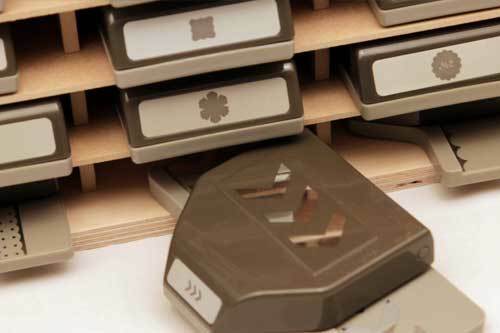 "Stamp-n-Storage makes it so easy to organize everything, you really cut down on clutter because everything has a place. 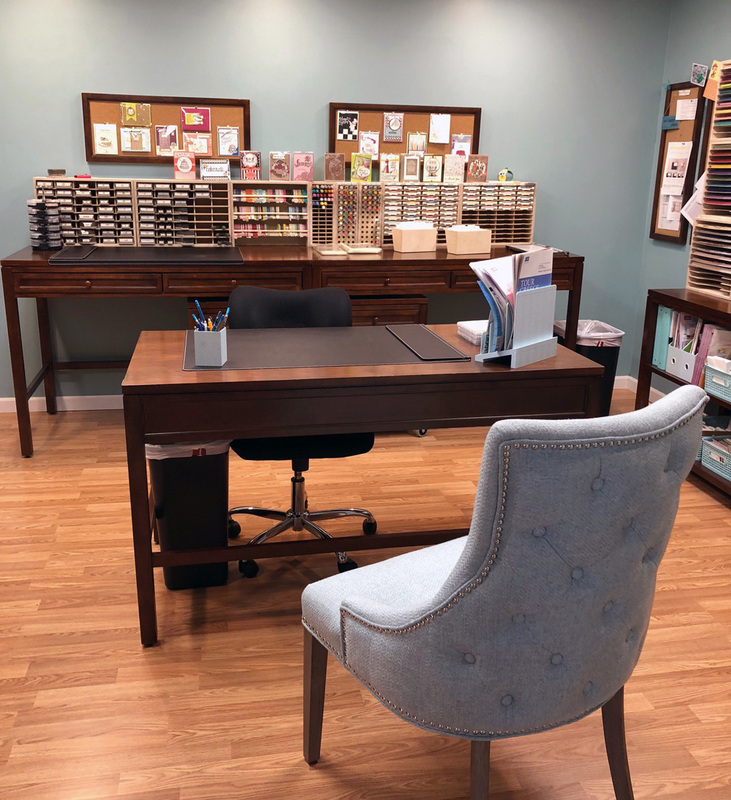 I now teach card making classes in my studio and my guests love how everything is so organized." It's amazing how Marcella's Stamping Corner has grown in just three short years. "I am so happy my direction was card making, meeting so many new people and just growing in a way I never thought possible" Marcella says. We think it's a great example of an answer to prayer!